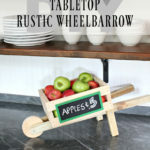 It’s a virtual party today with ten DIY bloggers sharing their custom versions of the harvest yard sign. 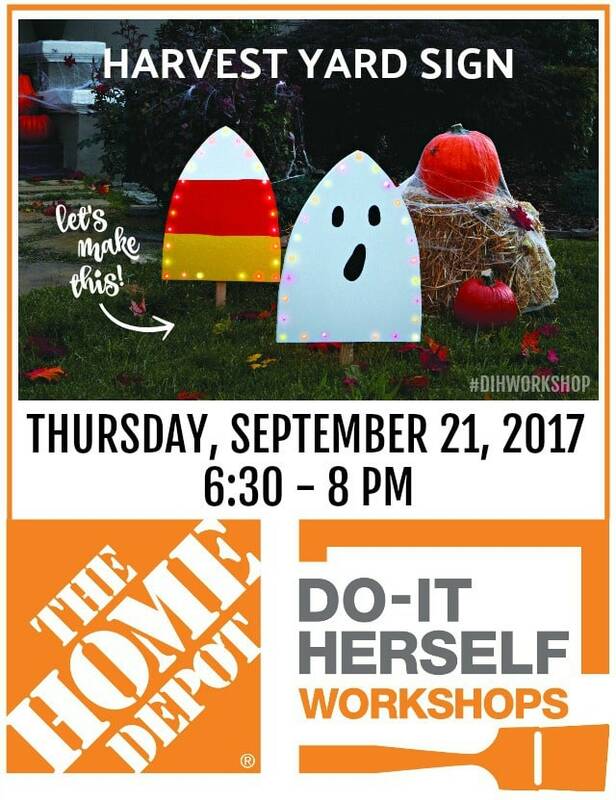 We have teamed up with The Home Depot for their DIH Workshops program to make our own harvest yard signs. 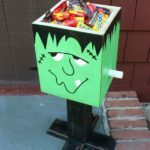 You don’t want to miss all the amazing creative ideas to get your yard ready for the Fall season! 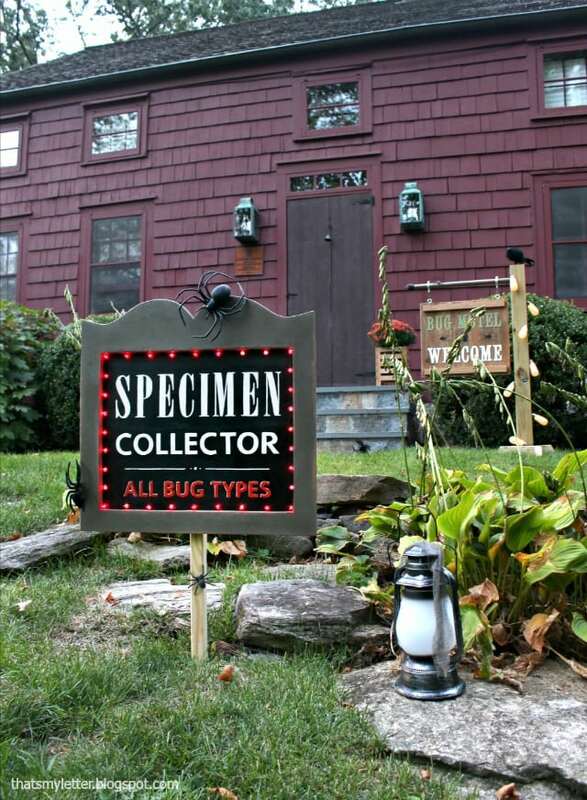 Make a harvest yard sign to add some Fall decor on the exterior. 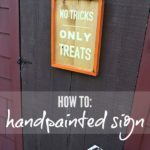 A virtual party where diy bloggers share their harvest yard sign ideas. 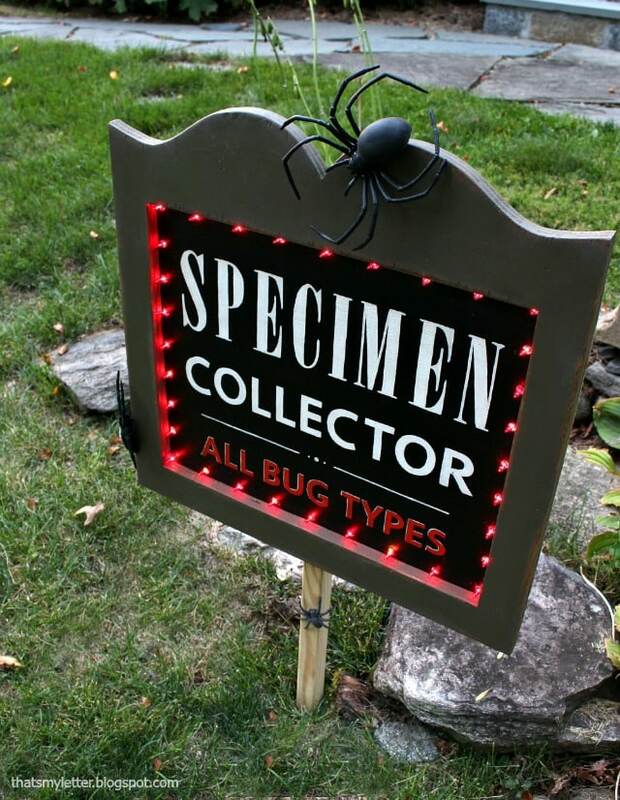 My harvest yard sign went the way of Halloween with a bug theme. 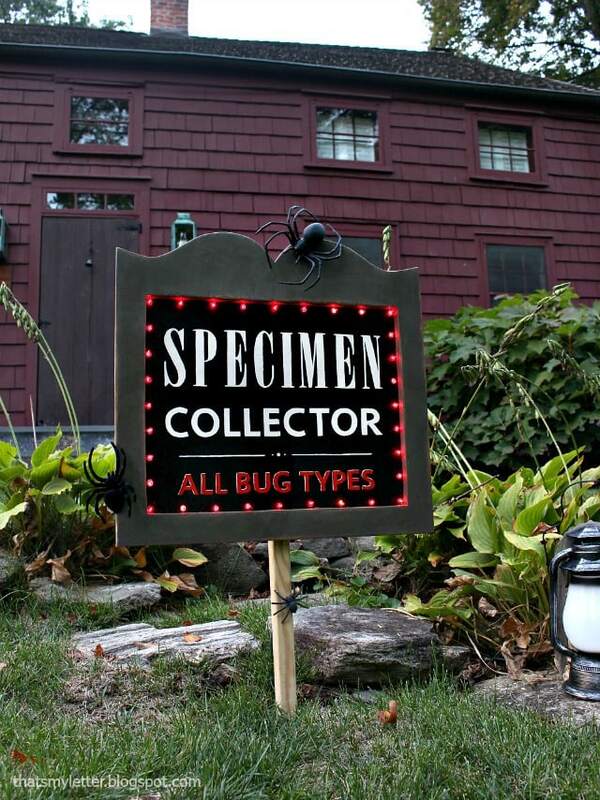 It’s fun and creepy and actually a little bit true because Fall always seems to be high spider season in our house. 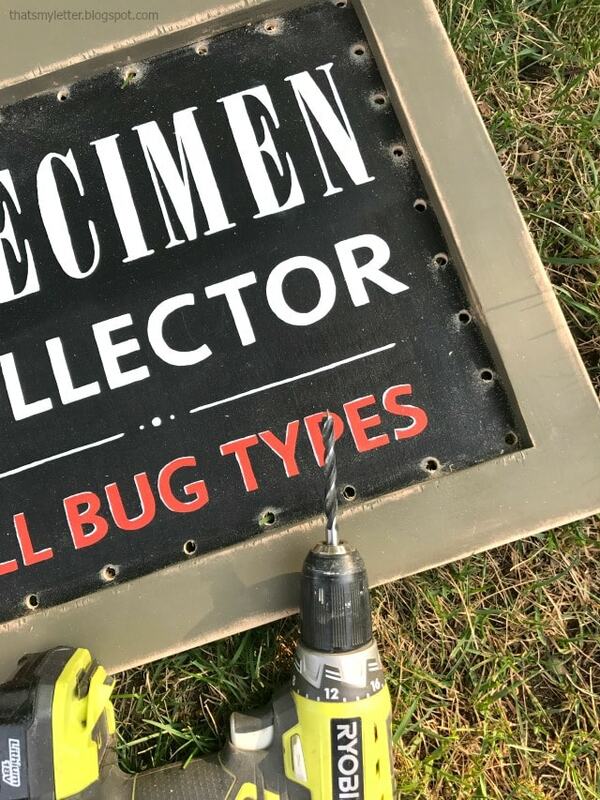 You can learn to make the harvest yard sign at your local Home Depot location as part of the DIH Workshops program. Click here and type in your zip code to register for this workshop. Also if you have previously attended any workshop at The Home Depot and would like to provide feedback please use this form here. Your experience and response helps The Home Depot make improvements. 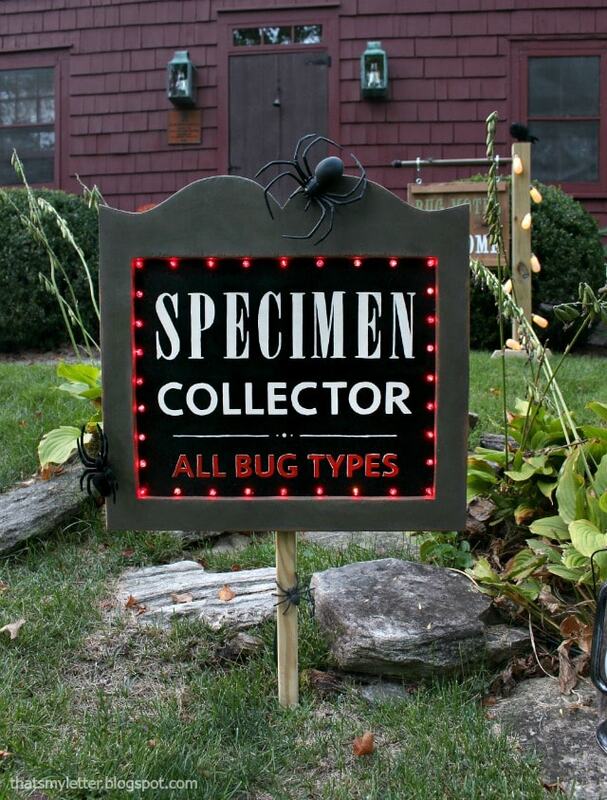 My harvest yard sign is for the specimen lover. 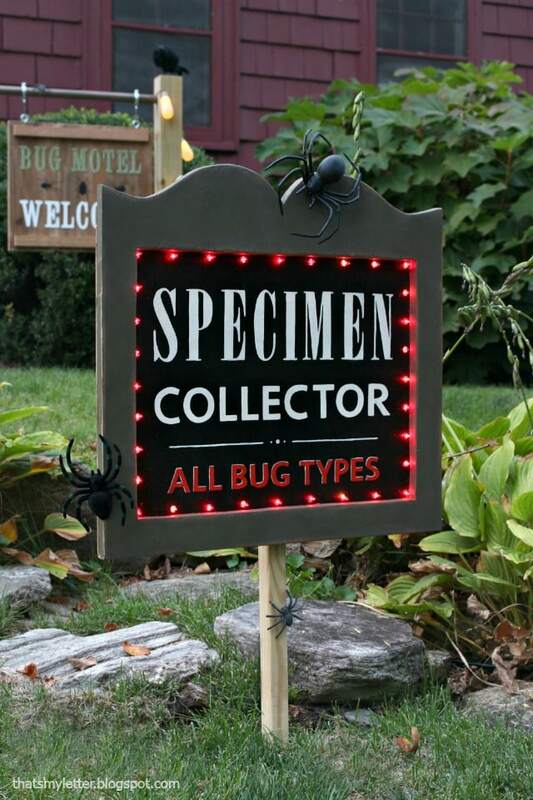 I opted for a classic sign style with a curved frame and used the mini red lights to outline the frame. This project can be completed with very basic tools. A jigsaw will be the best option in order to cut out the shape, I used it on the frame portion to get the curvy detail and cut out the interior portion. Then take a drill fitted with a bit just slightly larger than the mini lights and make equally spaced holes. Once all the lights are inserted plug in and see the magic. It looks really neat in low light, dusk and of course nighttime. I hope it doesn’t scare off any trick or treaters on Halloween! 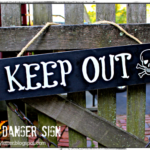 Be sure to register for the Harvest Yard Sign workshop this Thursday. This is a basic project almost anyone can learn to do.